One sin leads to another. John 8.44 "For you are the children of your father the devil, and you love to do the evil things he does. He was a murderer from the beginning. He has always hated the truth, because there is no truth in him. When he lies, it is consistent with his character; for he is a liar and the father of lies." "Instead, you are trying to kill me because I told you the truth, which I heard from God. Abraham never did such a thing." " Now David’s son Absalom had a beautiful sister named Tamar. And Amnon, her half brother, fell desperately in love with her. 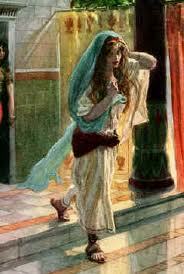 2 Amnon became so obsessed with Tamar that he became ill. She was a virgin, and Amnon thought he could never have her. 6 So Amnon lay down and pretended to be sick. And when the king came to see him, Amnon asked him, “Please let my sister Tamar come and cook my favorite dish as I watch. Then I can eat it from her own hands.” 7 So David agreed and sent Tamar to Amnon’s house to prepare some food for him. 8 When Tamar arrived at Amnon’s house, she went to the place where he was lying down so he could watch her mix some dough. Then she baked his favorite dish for him. 9 But when she set the serving tray before him, he refused to eat. “Everyone get out of here,” Amnon told his servants. So they all left. 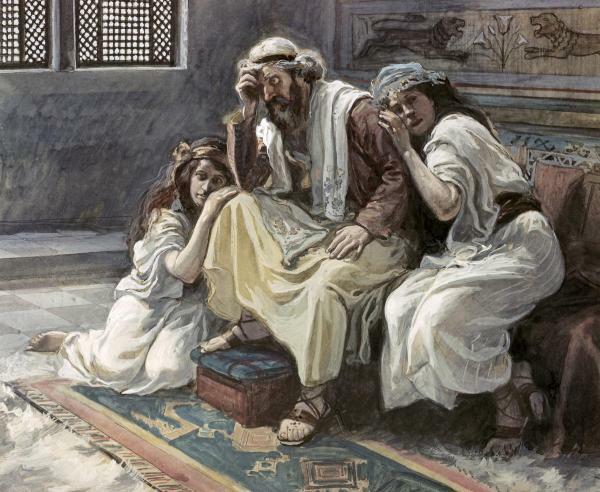 14 But Amnon wouldn’t listen to her, and since he was stronger than she was, he raped her. 15 Then suddenly Amnon’s love turned to hate, and he hated her even more than he had loved her. “Get out of here!” he snarled at her. 18 So the servant put her out and locked the door behind her. She was wearing a long, beautiful robe, as was the custom in those days for the king’s virgin daughters. 19 But now Tamar tore her robe and put ashes on her head. And then, with her face in her hands, she went away crying. 20 Her brother Absalom saw her and asked, “Is it true that Amnon has been with you? Well, my sister, keep quiet for now, since he’s your brother. Don’t you worry about it.” So Tamar lived as a desolate woman in her brother Absalom’s house. 21 When King David heard what had happened, he was very angry. 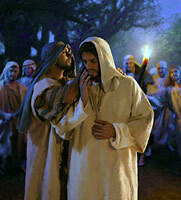 22 And though Absalom never spoke to Amnon about this, he hated Amnon deeply because of what he had done to his sister. “Why Amnon?” the king asked. 27 But Absalom kept on pressing the king until he finally agreed to let all his sons attend, including Amnon. So Absalom prepared a feast fit for a king. 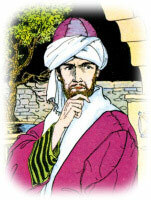 Absalom fled to his grandfather, Talmai son of Ammihud, the king of Geshur. 38 He stayed there in Geshur for three years. 39 And King David, now reconciled to Amnon’s death, longed to be reunited with his son Absalom. The story of Amnon and Tamar reveal that these things don’t just happen. That through the power of our imaginations and thought, we can do anything we set our minds to, even going against God’s Word and His plan for our lives. He loved Tamar and made himself sick everyday, thinking about her and that he could not have her. Tamar suggests otherwise. She said that if Amnon would speak to his father - he may allow him to marry her. Jonadab, a friend of Amnon thought up a plan to allow him to get what he wanted even although it ended his life..
"18 So the servant put her out and locked the door behind her. She was wearing a long, beautiful robe, as was the custom in those days for the king’s virgin daughters. 19 But now Tamar tore her robe and put ashes on her head. And then, with her face in her hands, she went away crying. "Now Amnon had a friend named Jonadab.... Jonadab was a very shrewd man" (2 Samuel 13:3). Jonadab became Amnon's worst nightmare. His satanical, sick-minded advice destroyed Amnon's moral purity and cost Amnon his life. Paul says, "Do not be misled: ‘Bad company corrupts good character’"
Are your friends poison to you and your future? Are you an Jonadab? Crafty? The real questions are, "In any friendship, who's influencing whom?" and, "Is the influence for the good?" If the influence is bad, and your moral compass is headed south, it's time to dump some poisonous friends real fast. Jesus had a friend like this - remember Judas? Are you a Judas to your friends when they ask you for advice?